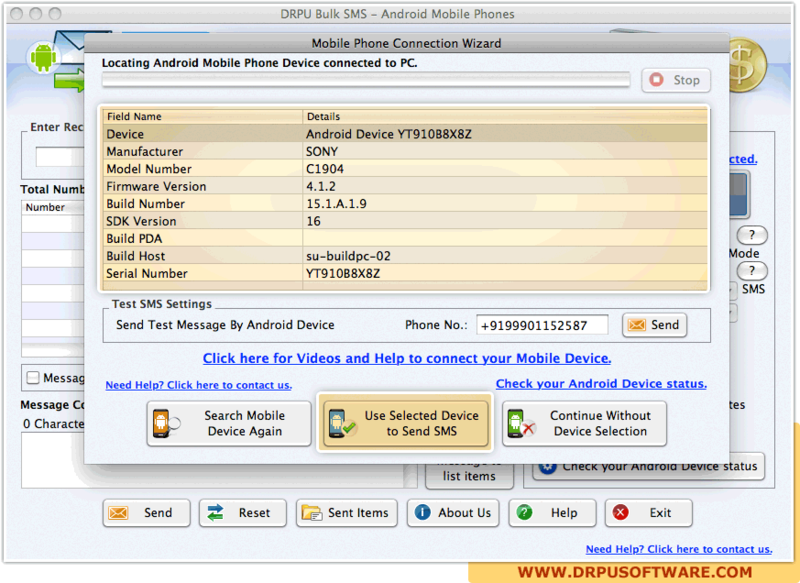 Screenshot shows selected device details including field name with corresponding details. 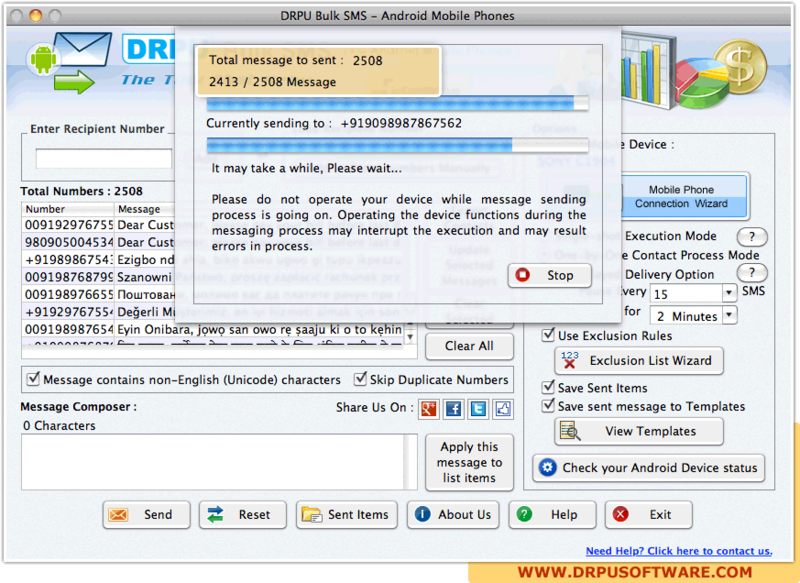 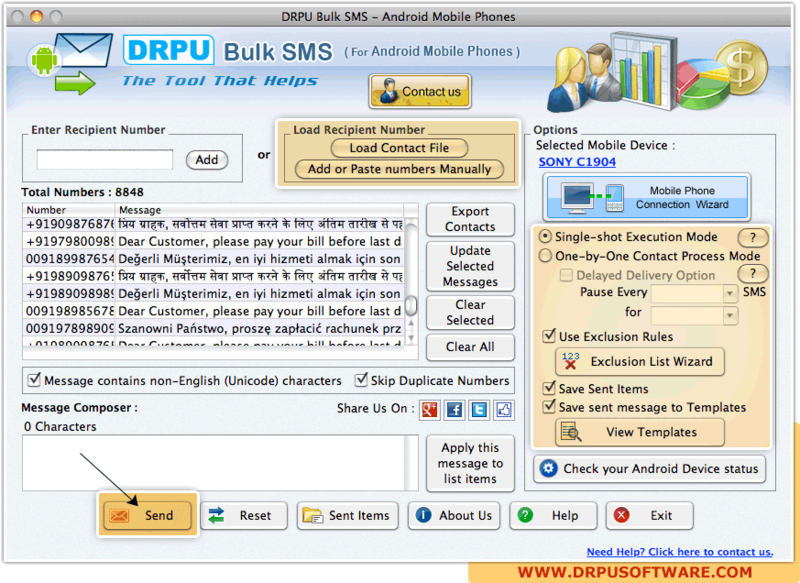 Click on “Use Selected Device to Send SMS” button for message sending process. 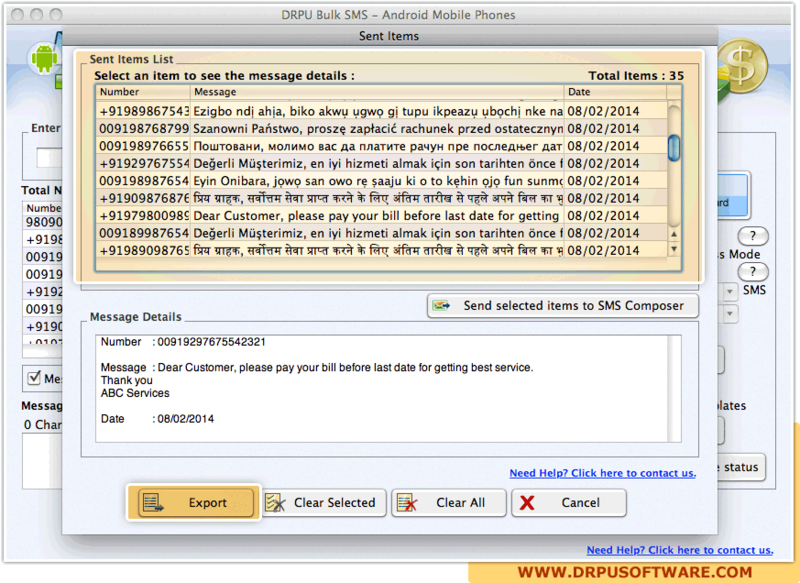 User can export sent item list on clicking Export button.